It demands spending extended periods by yourself working on articles, stories or books, often without feedback from others. Look at the work spaces of many famous writers, and you'll find them typing away in basements, coffee shops and rooms at the tops of their houses or backs of their apartments. The American poet Raymond Carver, for example, often wrote on a notepad in his car. The big question is: How can you balance the time you need by yourself to create and the accompanying feelings of loneliness? Asimov is mostly right, although I think he was describing solitude rather than isolation. What's the Difference Between Solitude and Isolation? Solitude refers to a quiet bubble where you're free to write or create without judgement from others. Isolation, on the other hand, describes cutting yourself off from others for extended periods without caring for your mental health. You can create moments of solitude while around others, for example, in a coffee shop. However, isolation is to lock yourself away from others without seeking connections. The former supports the creative process; the latter hinders it. If you want to write and finish articles, stories and books, cultivate solitude for at least 30 minutes, ideally every day. You could rise early in the morning before your family. Or you could work late at night when your house or apartment is quiet. Go to the same place to work on your ideas until you can slip into a bubble of solitude more easily. While there, turn off all notifications on your devices and close down distracting computer apps. If you're working on an early draft, practice outlining with pen, paper and index cards or dictate it. Computers are better for self editing later. Avoid company or software that intrudes on this bubble of solitude. You could even don a pair of noise-cancelling headphones and listen to instrumental music. If you're struggling with loneliness or other dark emotions, journal about these feelings. Better yet, use them as fuel for your stories. Many new writers feel guilty about cultivating solitude. Why do you think they dedicate so many books to their families?! If this happens to you, become more aware of your personality type. He is a classic extrovert. However, many writers are introverts. They recharge by themselves and feel drained after spending time in large or noisy groups. Once you understand your personality type, you'll be better able to create moments of solitude to write and feel less guilty about it. Almost every writer creates for his or her readers, and that is a form of connection. So plan to show early drafts to the people close to you or members of a local writing group. Better yet, start a blog or share excerpts of your work on Medium. You can also cultivate interests outside writing that demand spending time with others. For example, I enjoy long-distance running with members of a local athletics club. I also go out of my way to attend Crossfit classes with others because it prevents me from isolating myself for the day. You might not necessarily enjoy these sports, but perhaps you can pursue other interests in the company of others after you've produced 500 or 1,000 words for the day. When asked, “What's your best moment of solitude?” I often think of rising about05.00 to work on a messy first draft of my book, The Power of Creativity. While listening to music recorded with a background of rain on repeat, I edged towards my target wordcount for the day. As I worked, the rising sun began pouring through the window at my desk, and by the time my alarm sounded at 08.00, I realised I'd written 3,000 words without giving into my limiting belief that this first draft wasn't good enough. I wrote, on that morning at least, without fear or expectation. 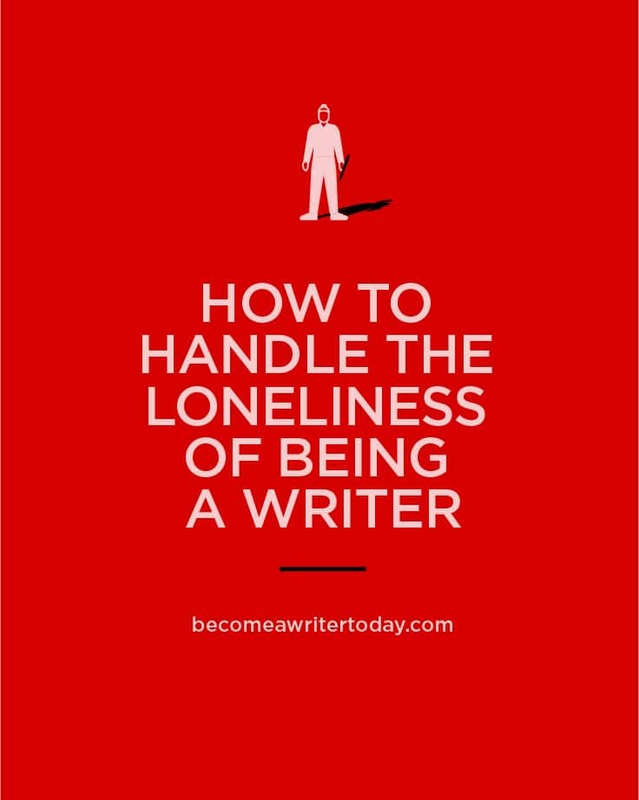 A writer, too, is vulnerable if he or she spends too much time alone. So take care to cultivate connections with family, friends and readers. In the end, remember solitude can be a wonderful thing. You can work on a single, a dozen or 100 foolish ideas before finding one that captures your imagination. You're free to work without judgement or expectation, and it's a privilege many can’t enjoy. The trick is to understand the difference between solitude and isolation. When you're done, your readers are waiting. I hadn’t contemplated the coordinations of going from an office brimming with collaborators to being distant from everyone else consistently in my home office ghostwriting services? It didn’t take some time before I felt confined — and I’m a self observer! In any case, even loners need a network. In the years since I’ve been telecommuting, I’ve taken in a ton about how to find that feeling of network, how to deal with the forlornness of my work circumstance. So this is a point that is important to me.